P.I.L. 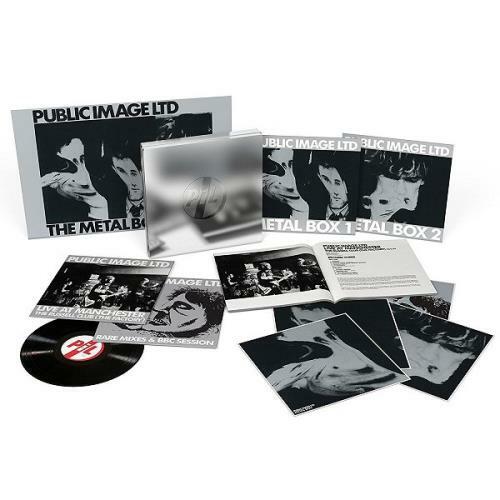 Metal Box (2016 UK Super Deluxe Edition four-LP set comprising a digitally remastered version of their classic 1979 12-track album, along with a 6-track live recording from a performance in Manchester at Russell�s Club in June 1979 plussix rare mixes & BBC session recordings. Unlike the original round metal film canister of the original, this 2016 edition will be issued in a logo-embossed square metal tin with a 72-page booklet, exclusive poster and set of art-prints! ).